One very common sight in Japan is the availability of Vending Machines. 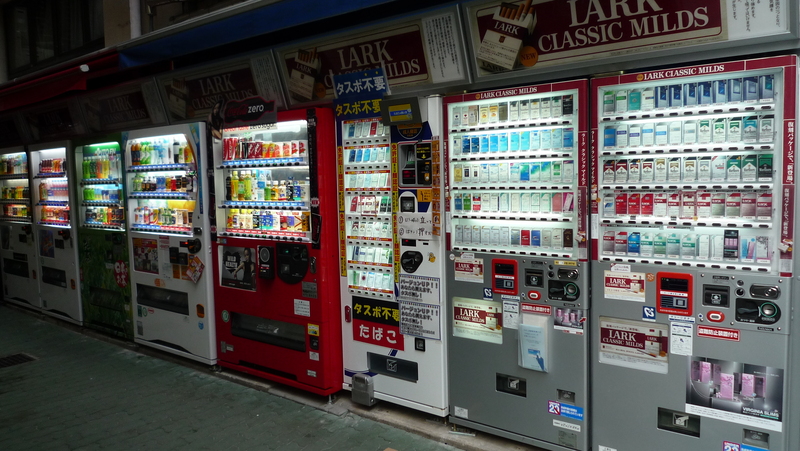 Almost every corner or a few minutes walk, you will definitely see at least one vending machine. 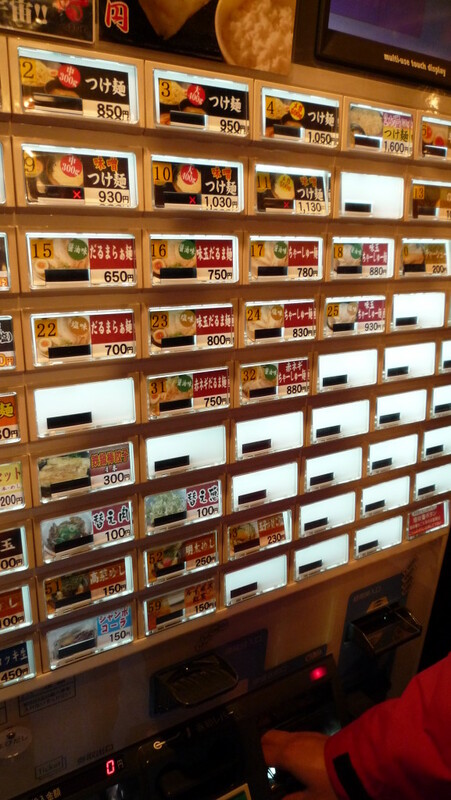 It is very common for Ramen restaurant / eating house to have a vending machine outside to take the customer order. 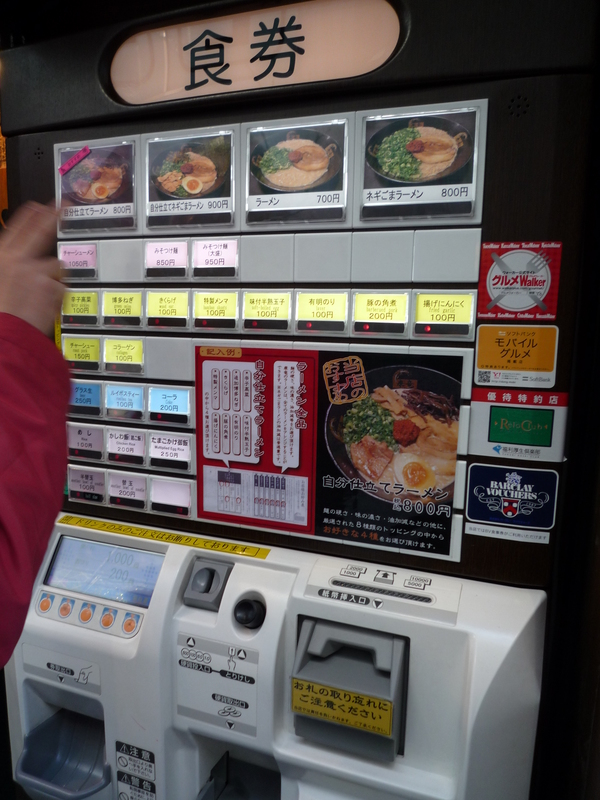 All the customer has to do is to chose the Ramen, put in the money and the machine will produce a ticket for the order. 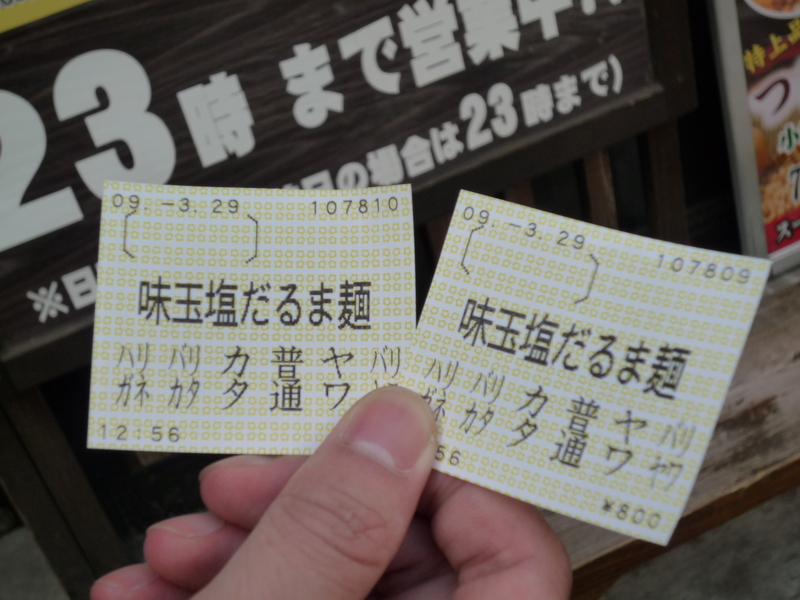 After which, the ticket is given to the chef or owner, and the Ramen will be served shortly. 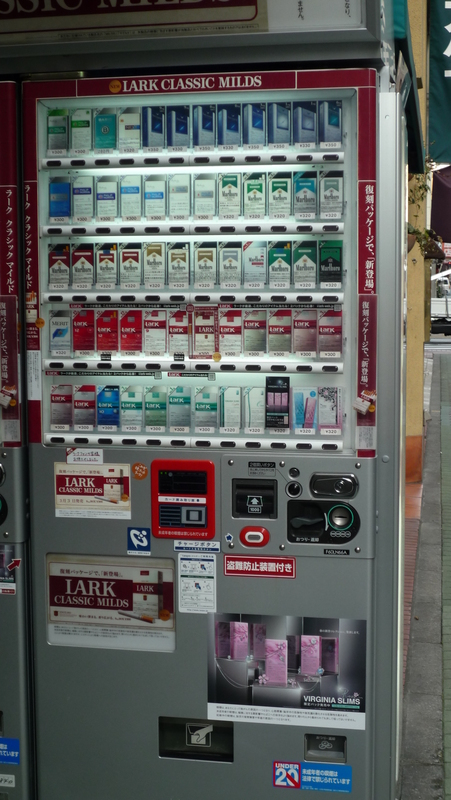 There are also lots of vending machines for drinks, cigarettes etc along the streets, parks, etc. We saw a whole stretch of these machines in one of the streets in Ginza. Amazing! And if you select a hot CAN of tea, it really produce a HOT can of tea. I had never seen a vending machine here in Singapore which provide hot drinks in a can, usually they will dispense a cup of hot drink instead.